In my experience as founder of Deed and marketing manager in IndigoVerge I have multiple times seen the benefits of keeping a company blog. In this post, I will share lessons learnt and tips on making the most out of this corporate media. 1. 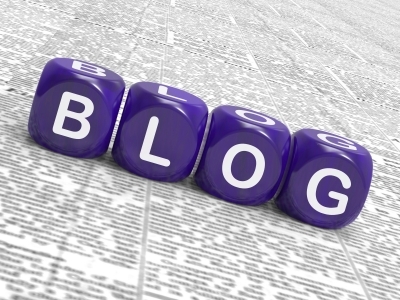 Establish your blog as the single place to share all news and updates related to your company. In your website your information is concise, well-structured, up to the point. Your blog is the place to extend this information with more details and post regular updates to it. In the blog you can literally share everything interesting that’s happening in your company, like new office location, new team members, awards received, events you will present at, new case study, new milestone achieved, etc. You can also discuss industry news or share tips that might be interesting to your audience, and will help establish yourself as an expert in your field. Before starting the blog, consider the audience that would be reading it. Most probably those would be the potential customers of your services, who are visiting your site referred from search engines, other sites, friends, etc. Make sure the content, tone, language and level of details are appropriate for exactly this audience. For example, if your blog readers are potential customers interested in your services, and they are management level with no interest in the tech details, don’t post technical tips as blog posts. Rather, blog on new case studies, new exhibitions you plan to attend, your latest very skilled/experienced team member, etc. 3. Business blogging should be done regularly, even if you have to post short stories. A blog where no posts have been done doesn’t speak well. It raises questions whether the company is still operating, whether it’s in a crisis or in another unexpected situation. So, make sure to have at least one new post per week. It’s perfectly fine to post short updates or split a longer post into several parts, posted individually. Just make sure there’s not much time in-between the different parts. Blog posts are usually very interesting to readers, due to the informal language, diversity of people posting, diversity of topics covered. So, make sure they do reach as many people as possible. How to spread the word on your blog posts? You can announce them on all social media channels (many times), include in your monthly newsletter (don’t forget to announce your newsletter on social media too), put a blog feed on your website and include a link in your email signature. This is unique content generated by you, make sure it gets the attention deserved. Of course we are often tempted to use our blog to tell how great our product or service is. But, if you’re abusing, you risk the credibility of your blog and people start looking at it as spam rather than a place to find interesting and useful information. A great way to promote your services on the blog would be through sharing happy customer stories. Use as a basis the website case study but elaborate more on the needs of the customer, difficulties you had handling the case and what you learnt from this case. A story that sounds perfect and problem-free doesn’t really sound realistic. You’d get more benefits by showing that you can deliver within the deadline and with high quality any project, however difficult it is, despite the problems you faced on the way. No matter what content you will post on the blog – be sincere, show your company is human. Humans want to work with humans, they want to see who stands on the other side, together with their merits and faults. So, speak about your merits, competencies and successes, but also speak about bad times and how you handled them. Because a person or company who can face and successfully manage and learn from failure and mistakes is more valuable that a company who’s never had those. We hope our own blog gives a good example of practical use of the tips above. Happy blogging!